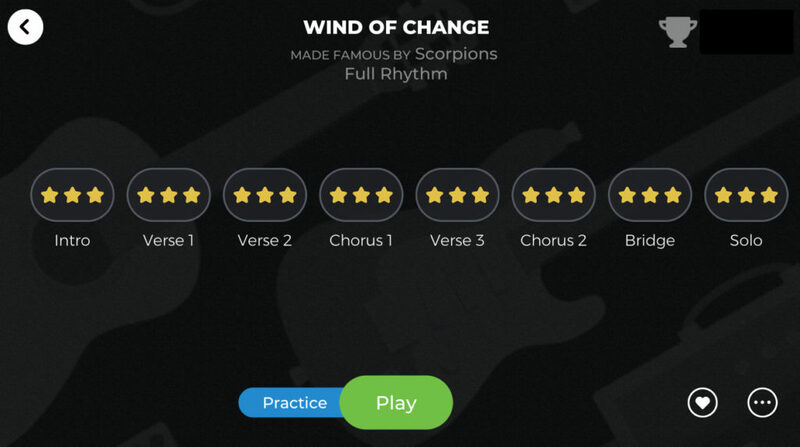 Let’s rock with a classic power ballad: Wind Of Change, made famous by Scorpions. This song was a huge hit around the world, and in addition to being super-catchy, it has a bunch of awesome guitar parts! The song is available in Yousician for Guitar, Bass, Ukulele, and Voice. Wind Of Change has a nice slow groove – a common feature of power ballads. It mostly has 4 beats in each bar, but you’ll notice some shorter bars with 2 beats. These keep cropping up throughout the song, often at the end of the line “wind of change”. It’s a great songwriting technique that keeps things interesting and gives the song a real sense of forwarding momentum. In the basic melody exercise (level 3), you’ll play a simplified arrangement of the super-catchy vocal melody, as well as the iconic whistling part. It’s all in the first 3 frets, so try to make use of the ‘one finger per fret’ rule to play it as smoothly and efficiently as possible. Fair warning – this tune is so catchy, you’ll be singing it to yourself all day! In the cowboy chords exercise (level 4), you’ll play along using nice and familiar cowboy chords. Some sections have fairly quick strumming with all down-strokes – it can be tricky to keep up! This down-stroke strumming is common in power ballads like this as it gives a strong pulse and sense of momentum. In the main melody exercise (level 5), you’ll play the vocal melody (plus whistling!) in a way that’s much closer to the recording. This has all sorts of challenges: hammer-ons and pull-offs, syncopated rhythms (using off-beats), and some quick 16th-notes. It’s a good idea to break it into small sections and slow it down in practice mode. Also, you’ll notice that most ideas in the song are repeated throughout, so if you’ve learned it once it’s easier to learn it again. In the full rhythm exercise (level 6), you’ll play the chord-based rhythm guitar parts. It’s a fun mixture of basic cowboy chords, some interesting fancy chords like Fsus2, and some 3-note power chords for when we’re putting the ‘power’ in ‘power ballad’! This should be a relatively quick song to learn for level 6 players, and a great one to sing along with when jamming with friends. 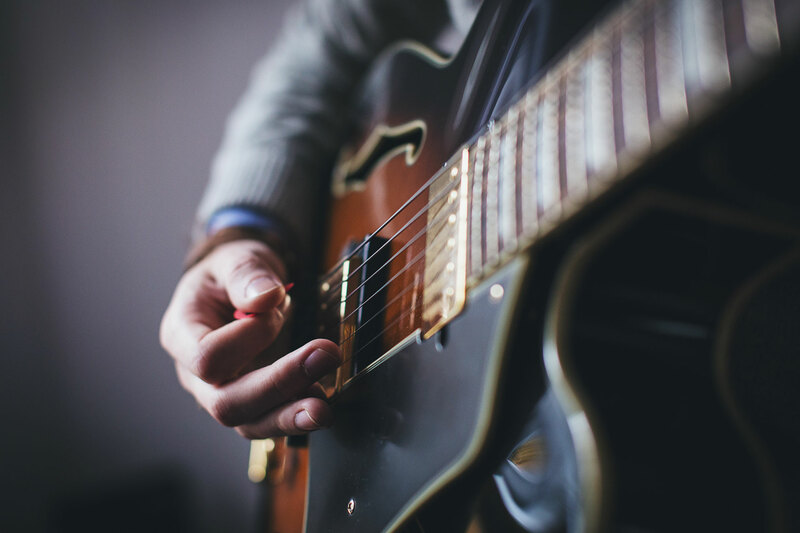 In the full rhythm & lead exercise (level 9), you’ll play the more intricate rhythm parts as well as the solo: the things you’d play as the ‘lead guitarist’ in a band. There are awesome double-stop licks over the whistling, plenty of fun arpeggios under the singing, and a very tasty solo with sustained bends and an ascending octave line to build up the drama. Alright, hope you have fun with Wind Of Change!